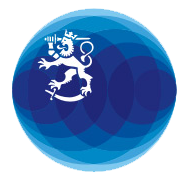 The Baltic Sea Action Summit to be held in Helsinki on 10 February is no ordinary summit. This gathering is made unique by its participants: leaders representing governments, the business community, NGOs and philanthropy. It focuses on action rather than proclamations. Jari Luoto, Ambassador for Baltic Sea Issues (second from the right) presented information about the Baltic Sea Action Summit, to be held on 10 February. The press conference was also attended by BSAG representatives Anna Kotsalo-Mustonen (left), Saara Kankaanrinta and Mathias Bergman. The co-convenors of the summit, to take place at Finlandia Hall, are President of the Republic Tarja Halonen, Prime Minister Matti Vanhanen and Chairman of the Baltic Sea Action Group (BSAG) Ilkka Herlin. The Ministry for Foreign Affairs is responsible for the practical arrangements. “The summit will be a happy gathering where people who have already rolled up their sleeves will meet,” Kotsalo-Mustonen continued. BSAG Secretary General Saara Kankaanranta, the summit content director, also emphasised the importance of positive cooperation. This goal has met with success, as more than 130 commitments have already been received and high-level representatives from all states of the Baltic Sea region are coming to the summit. The guests will include Prime Minister Vladimir Putin of Russia and H.M. King Carl XVI Gustaf of Sweden. Latvian President Valdis Zatlers, Lithuanian President Dalia Grybauskaite, Estonian Prime Minister Andrus Ansip, Norwegian Prime Minister Jens Stoltenberg and Danish Prime Minister Lars Løkke Rasmussen have also confirmed their attendance. The summit has not come about on its own; its realisation has required much work. In November–December the Ministry for Foreign Affairs organised a series of events where the project was presented to companies, officials and representatives of the media. The Finnish foreign missions in the countries of the Baltic Sea region have also taken part in this work. ”We have held talks on the contents of commitments with heads of state and environment authorities,” Luoto stated. BSAG Chairman Ilkka Herlin stressed that the Baltic Sea cannot be saved only through the efforts of business and the private sector; the efforts of the public sector are also essential. “The restrictions and regulations set by public actors are especially important. Companies are then obligated to comply with these regulations,” Herlin said. The Baltic Sea commitments made by states will be made public during the summit, at the latest. Luoto revealed that the commitment of the Finnish Government is linked with eutrophication of the Baltic Sea and contains many assorted measures. The President of the Republic will also present her own commitment on behalf of the Baltic Sea. Work to benefit the Baltic Sea will not end with the summit; instead, implementation of the commitments will be monitored thereafter. “Our work begins when the black limousines have driven off,” Kankaanrinta laughed.